The name Samanala Kanda mean Butterfly Mountain. 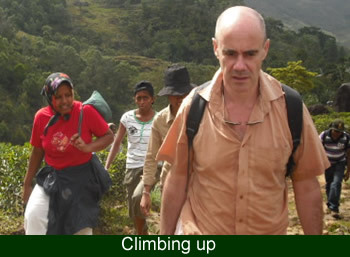 Sri Lankan butterfly migration towards this mountain is the reason of the name creation. This is the fourth highest mountain (2244 m) in Sri Lanka. 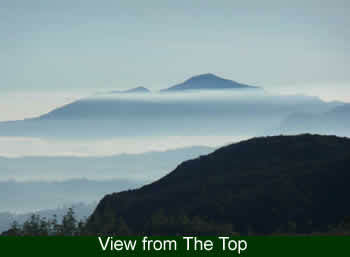 It is a landmark of the island and the most holy peak for Buddhists, Hindus, Muslims and Christians as well. Buddhists believe the footprint of the Buddha is in the shrine in the top. 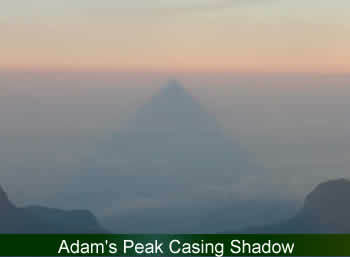 View sunrise from the summit, is panoramic and the same time on the clouds in the other side the casing shadow of the summit makes a image. The forest cover around the mountain named as Peak Wilderness Sanctuary. It is with a high bio diversity consists rare fauna and the flora. A few population of Elephants also is among them. It is said they are round shape and smaller than the dry zone elephants. Mountain endemic birds like, Sri Lanka White Eye, Yellow Eared Bulbul, Dull Blue Flycatchers are can easy to spot. 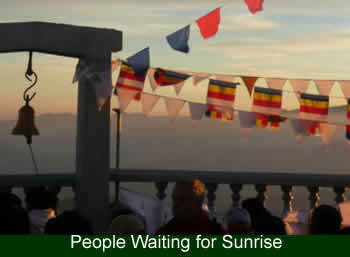 There are two pilgrim routes towards the peak, a very demanding one coming from the Rathnapura side, the most common one starting from Delhousi in Hatton side. Rathnapura road divided ending in Kuruwita or Erathna. Other than the Pilgrim paths to summit there are many treks around the area. There is a pilgrim season start from december and end in may. It is the recommended period of visit because of the rain but visiting in this time is adventurous. 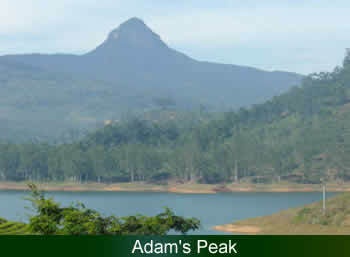 There are many other trekking around Adam's peak like Fishing Hut. It was a colonial place for relaxation. Up to this place there is a trekking possibility in tea plantation. Luxapana waterfall is very impressive which close to here. 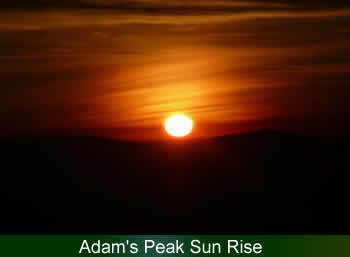 Samanala Kanda or Adam's Peak declared UNESCO as a world heritage site.